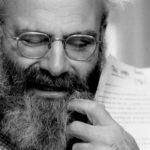 A sequel to Russo's Nobody’s Fool checks in on the residents of poor old North Bath, New York, 10 years later. Consider Everybody’s Fool a delightful return to form...It’s fitting that this book’s eye-catching cover depicts a dog with a lot of personality — and some signage discreetly hiding its nether parts. That dog represents a real character who’s just as rascally and perverse as the book’s humans. The dog is just better at expressing himself. Mr. Russo’s people prefer to sideswipe, wisecrack, sneak, scheme and talk to figments of their imaginations. It’s a joy to spend time with any of them, two-legged or four. 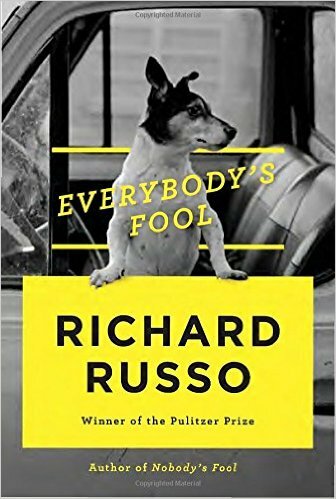 These scenes are Russo at his best, and they’re what make him of one of our best humorists (his campus farce Straight Man is one of the funniest novels of the ’90s)...This isn’t to suggest that Russo is only out for laughs. There are several harrowing confrontations in these pages, none of which end in predictable fashion, and virtually every character is wounded in one way or another. Everybody’s Fool is a decidedly bittersweet affair, a sequel that proves both entertaining and elegiac. Three dead — and we’re just getting started. But that’s the abiding wonder of Russo’s novel, which bears down on two calamitous days and exploits the action in every single minute. From the cemetery, this ramshackle plot quickly starts grabbing at mudslides, grave robbery, collapsing buildings, poisonous snakes, drug deals, arson, lightning strikes and toxic goo. North Bath is a sleepy little town that never sleeps...That’s a testament to Russo’s narrative skill, which keeps all of these characters careening through a long book devoted to a very short period of time. His success stems largely from the fact that no tangent ever feels tangential in these pages, even if Russo sometimes leans too heavily on his sad-sack shtick. What did you think of Everybody's Fool?